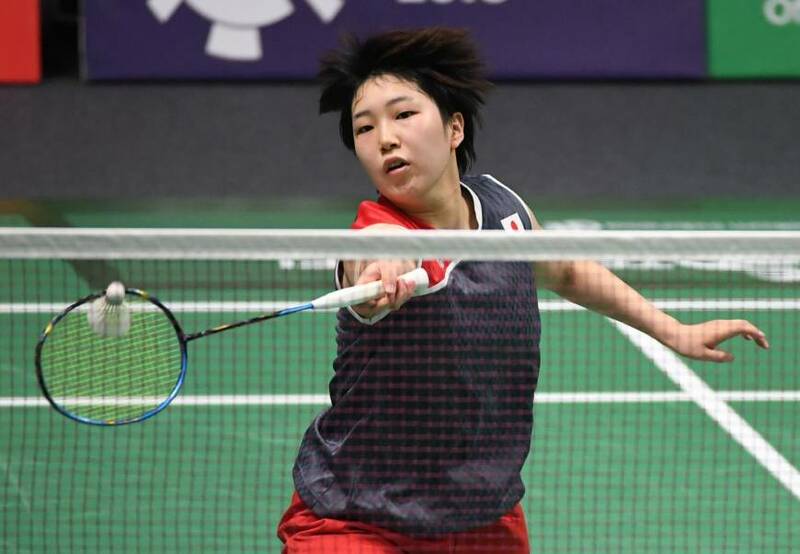 JAKARTA - Misaki Matsutomo and her partner Ayaka Takahashi gave up leads in both games on the way to losing the women’s doubles badminton final 2-0 to Chinese pair Chen Qingchen and Jia Yifan at the Asian Games on Monday. Despite rallying in the second game to stave off a number of match points, the Japanese duo lost their second consecutive Asian Games doubles final, this one 22-20, 22-20 at GBK Istora Arena in Jakarta. The Olympic champions had their chances, with two game points in the first stanza, but the Chinese players proved too resilient in the big moments. “Obviously, this hurts. But, we played well in this tournament and I am satisfied with many parts of it,” said Takahashi who lamented the way they went into their shell with match point on the line. Earlier, Akane Yamaguchi earned bronze in the women’s badminton singles and Kenta Nishimoto did the same in the men’s, becoming the first Japanese man to medal in singles since the 1970 Games. Yamaguchi, ranked second in the world, fought back from a first-game deficit against world No. 3 and Rio Olympic silver medalist V. Sindhu Pusarla of India, but crashed in the decider, losing 21-17, 15-21, 21-10, in their semifinal. Pusarla said she really had to battle to get the win. “The third set was important for both of us today because each point counted . . . You just had to fight for every point,” she said. Yamaguchi added to her women’s team gold, Japan’s first since 1970, coming in last Wednesday’s 3-1 win over China in the final. In his men’s singles semifinal, Nishimoto gave up a six-point lead in his first game against Indonesia’s Jonatan Christie, but ran away with the second to stay alive. After a hard-fought decider, the match went in favor of the home favorite 21-15, 15-21, 21-19, as Nishimoto also picked up his second medal of the games. “What a waste. I’m just frustrated,” said Nishimoto, the first Japanese man to win bronze since Ippei Kojima in 1970. “I was rushed to get points. I was so eager for the points toward the end of the final game and I became heated up and lost my composure. Christie beat world No. 2 and top seed Shi Yuqi en route to the final, and handed Nishimoto a straight-games loss last Tuesday in the men’s team semifinal as Japan won bronze after a 3-1 defeat against eventual silver medalist Indonesia.